The airport of Almeria is quite small, but with an increasing number of flights. London Gatwick to Almeria with Easyjet, London Stansted and East Midlands (Nottingham) to Almeria with Ryanair. There are cheap flights from: Amsterdam to Almeria with Vueling. Also from Brussels to Almeria with Jetair. With Ryanair you can fly from Düsseldorf Weeze to Almeria. 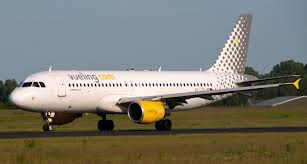 Also there are cheap flights from: Düsseldorf to Almeria with Vueling. See our holiday rentals in Almeria!